The energy industry has remained at the forefront when it comes to the adoption of new technologies in all possible areas. However, when it comes to blockchain technology, which translates to a public ledger maintained for recording transactions in its simplest form, the industry has been slow in recognizing the true potential of the technology in terms of improved speed of transactions and reduction of overall costs of operations. However, a number of companies are increasingly recognizing the vast benefits of the technology and are making conscious efforts to implement the technology, especially as the sector becomes increasingly connected and decentralized. This report presents an account of the past and present growth dynamics of the global blockchain in energy market. The report discusses key factors driving the adoption of blockchain technologies in the energy sector along with challenges faced by key players in the industry. It also discusses the global trends that are impacting the industry and scope of market growth in the future. It is estimated that the global blockchain in energy market will expand at an impressive pace in the next few years. A number of factors are considered to be of utmost importance in bringing about this change, including technological advancements in the field of renewable power production and battery storage. In the past few years, the costs of solar panels have fallen by nearly 80% and more economical and efficient products are being introduced in the global market every passing day. Advancements in battery technologies are allowing households to store power for load shifting or back up, meaning that the general population has greater flexibility to purchase and store power when the costs are less and use it as and when required. 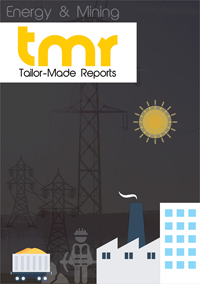 The increased adoption of smart meters and continuous development of response measures on the demand side are leading to the increased emergence of new digital peer-to-peer services that allow direct connectivity between the producers of green energy to the consumers, cutting out the conventional middle man. This energy sharing economy is making consumers capable of taking control of their usage of energy and bring a noticeable reduction in energy bills. These changing characteristics of the energy sector are also benefitting the blockchain technology in the energy sector, by almost necessitating the adoption of new methods of recoding and streamlining financial operations to ensure that the rising pool of financial transactions through digital lines are done in a transparent and risk-free manner. The vast rise in FinTech spending from energy companies across the globe is a key factor that is likely to work in favor of the global blockchain in energy market. FinTech refers to the solutions or technologies used to support or enable banking and financial services. These services now include a vast set of new front-end consumer products that are operable through smart phones or portable mobile computing devices such as tablet computers. These solutions are provided to consumers directly through white label services or licensing. Spending on FinTech solutions has a direct influence on expenditure on blockchain technology as FinTech companies are involved in the development of advanced payment systems for finance-related companies. Geographically, the report segments the global blockchain in energy market into North America, Europe, Asia Pacific, Middle East and Africa, and Latin America. Of these, the markets in North America and Europe are presently the leading contributors of revenue to the global market. This can be credited chiefly to the adoption of digital technologies in the energy sector, vast developments in the field of renewable energy, and presence of several blockchain technology providers. Moreover, the rising demand for cloud-based blockchain technology in these region is likely to lead to an increase in feasibility of transactions in the near future. The report gives a thorough account of the competitive dynamics of the global blockchain technology market. Owing to the fact that suppliers of components required for building blockchain technologies are low in the market, the costs of products are high. So as to gain a competitive advantage in the market, companies need to focus on the development of innovative and low-cost solutions. Some of the leading companies in the market are Accenture, Infosys, Microsoft, IBM, and SAP.